Limited edition 400 copies black vinyl including 2 bonus tracks. 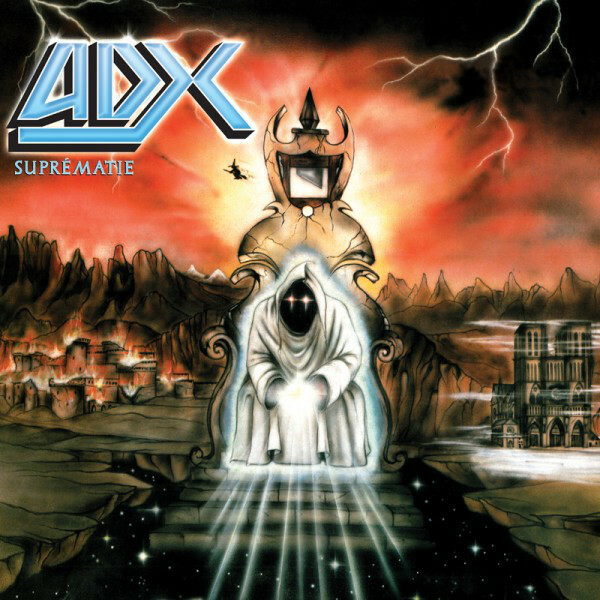 ADX is one of the most legendary and well-known French Heavy Metal bands. A true legend of Heavy Speed Metal that also inspired many Thrash Metal bands. They ruled the stage during the 80s and after their reunion they performed live in highly acclaimed festivals from Keep It True (Germany) to HellFest (France) and more. Suprematie is now re-released including additional bonus tracks, for all those who were looking for their old albums.